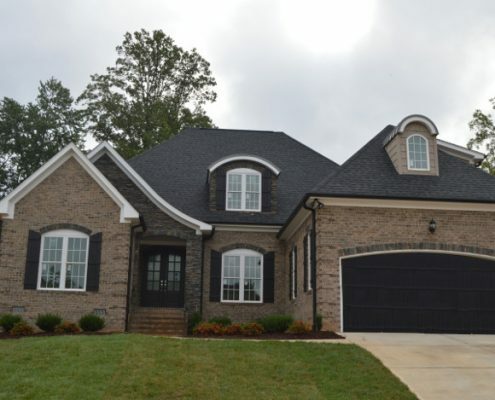 There has never been a better time to build a home on one of the many custom home lots available in the Greensboro, NC, area. What better way is there to have your cake and eat it too? When you have a home built for you, you get the best of both worlds. This includes all the benefits and modern features you get in a fresh newly-constructed home along with the traditional look you wanted in your dream home. However, there are several more practical reasons why building a home offers more value. When you have a home built for you, you know exactly what you are getting right down to the last fixture in the master bathroom. You know what is hiding behind the walls as much as what you can see with your own eyes. Your custom home builder can answer any questions you might have during the construction process. One of the great benefits of custom home lots is that you get to choose where your new home is to be built. You can look for a lot near the lake, out in the woods, on a particular street or in a certain part of town. Building a new home puts you fully in charge as you get to choose a site that matches your tastes and lifestyle. You will find it hard to compare the energy efficiency of homes built today to those built as little as ten years ago. Today’s designers and contractors use the latest insulation technology and modern appliances that are far more energy efficient than at any time in history. This will help you keep your utility bills to a minimum. When you buy an existing house, you are stuck with what you get to a certain extent. That is unless you want to invest in renovation. By having a home built for you, you get to design your new home starting with a blank canvas. You are the master of your own destiny and the only one who has the final say in what your new home will look like. When you buy a home that has just been built, everything in it is brand new. This means that for the first few years at least, your maintenance costs should be virtually nothing. An older home may have problems you are not even aware of, which could end up costing hundreds if not thousands of dollars in parts and labor to rectify. It can be tempting to buy an existing home; it’s already built and ready to move into. But, if you would like to have more input on your home, consider having a custom home built on one of the many available custom home lots in the area. Then let R&K Custom Homes help you with the design and construction of your new home.